Fall is a great time of year to start thinking about preparing your home for winter, because as temperatures begin to dip, your home will require maintenance to keep it in tip-top shape throughout the winter. This is known as winterizing your home. So, which steps can you take now to make this winter safe, comfortable, and healthy while saving money? Change your furnace filter or stock up on furnace filters and change them monthly. Consider switching out your thermostat for a programmable thermostat. Programmable thermostats can help you save a ton of money by only turning on when you most need it. If you plan to use your fireplace this winter, make sure your chimney is clean and no critters have made themselves at home there. The last thing you need when cozying up to your hearth is a disaster waiting to happen in the chimney. Inspect the fireplace damper for proper opening and closing. . Plastic those windows! If you find drafts are coming in around the windows, or you don’t have storm windows, covering them in plastic can be a very low cost way to save on heat! If you have especially drafty or old windows (especially if they’re single pane), consider replacing them. Fall is a good time for a good window washing. Dust, dirt, and hard water from sprinklers have gathered on your windows throughout the summer months. It preserves the actual window itself, from becoming cloudy or dingy permanently over time. Use weatherstripping around doors to prevent cold air from entering the home and caulk windows or doors where appropriate. If you have storm windows, install them. Check your roof for loose or missing shingles and gaps around your chimney, flues, and other openings and do the same for your home’s exterior. Be especially watchful of the areas around windows, doors, and your foundation. Service or tune-up snow blowers. You wouldn’t want to have the first big snowfall of the season and not be prepared! Replace worn rakes and snow shovels. Pick up a good quality snow shovel now. Buy bags of ice-melt or sand and sharpen ice choppers. A huge snowstorm can be a pain to deal with, but if you’re equipped with the right tools then it will just make the job that much easier. Switch the direction of your ceiling fans! When ceiling fans are rotating clockwise, they push hot air down into the room, reducing heat costs by an average of 10%! Open the blinds in sunny rooms. Be sure to keep the blinds open on any rooms that get a lot of sun, every little bit of extra heat can help keep those bills down. If the weather temperatures fall below 32 degrees in the winter, adding extra insulation to the attic will prevent warm air from creeping to your roof and causing ice dams. One of the easiest ways to save some money is to ensure that you have at least 12 inches of insulation in your attic. Buy extra smoke detector batteries and change them when daylight savings ends. Check with your local fire department to see how many smoke detectors you should have in your house (each city has different regulations). Install a carbon monoxide detector near your furnace and water heater. 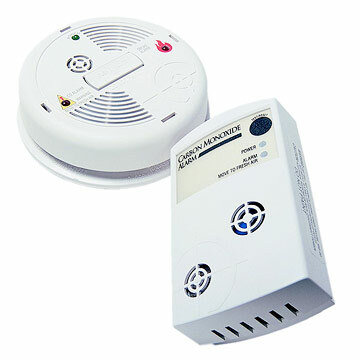 Make sure to test all smoke and carbon monoxide detectors to make sure they work. Insulate any exposed plumbing pipes. If you are away from your home for an extended period of time, leave the heat on and set it to at least 55 degrees. The number one thing most homeowners fail to do before winter sets in is eliminate dead tree branches. Falling limbs can harm roofs, siding, gutters, porch railings, decks, and cars. Trim trees if branches hang too close to the house or electrical wires. Ask a landscaper when your trees should be pruned to prevent winter injury. Seal driveways, brick patios, and wood decks. The harsh winter elements take quite a toll on driveways and walkways. Sealing can protect the area from those elements, and save money come spring when it is time to repair what winter damaged.Ask a professional to handle repairs that are outside your comfort zone and be sure to request project estimates up front. Buy indoor candles, matches, and a lighter for use during a power shortage. Store extra bottled water, non-perishable food supplies, blankets, and a first-aid kit in a dry and easy-to-access location. Don’t forget to include pet food if you have a pet. Prepare and practice with the family an evacuation plan in the event of an emergency. 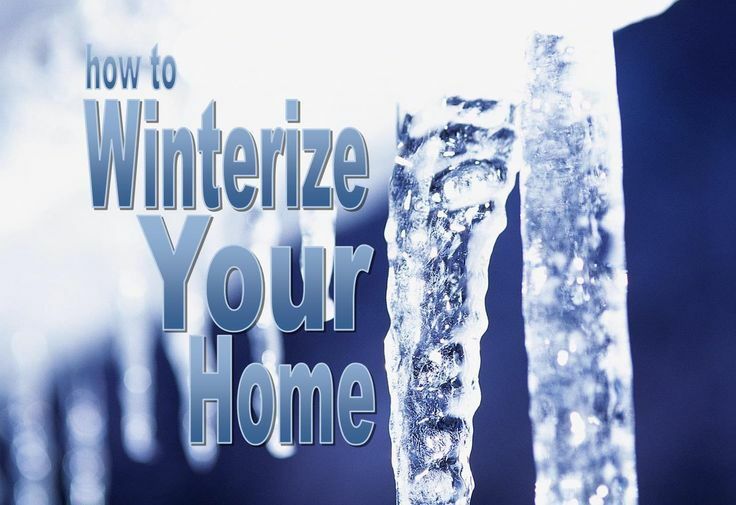 For most of the months out of the year our home can function wonderfully with just a little upkeep here and there, but before the snow and freezing temperatures hit, these tips will make sure your house is in tip-top shape.The more prepared you are now, the less recovery there is to do come spring and the more money you save in the long run!